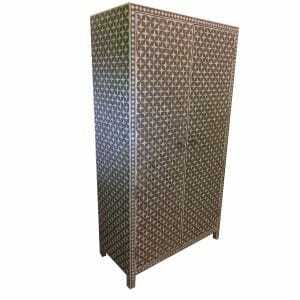 110cm high x 70cm wide x 40cm deep. 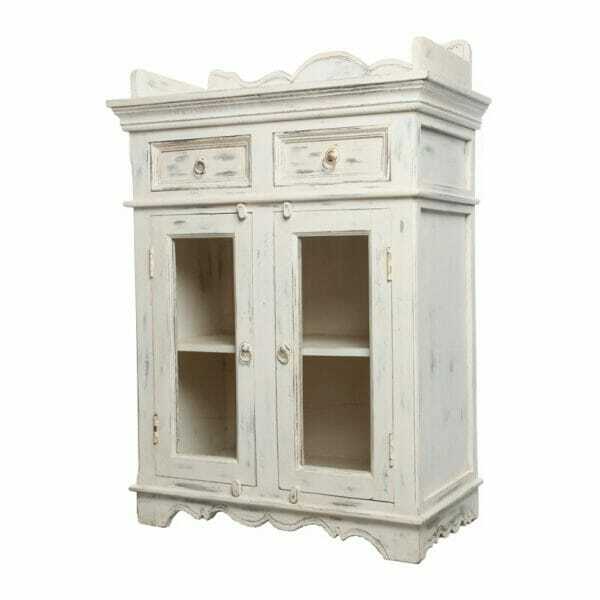 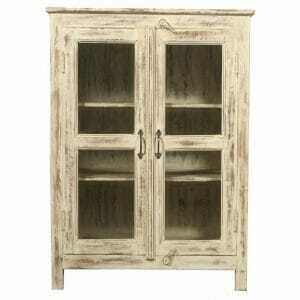 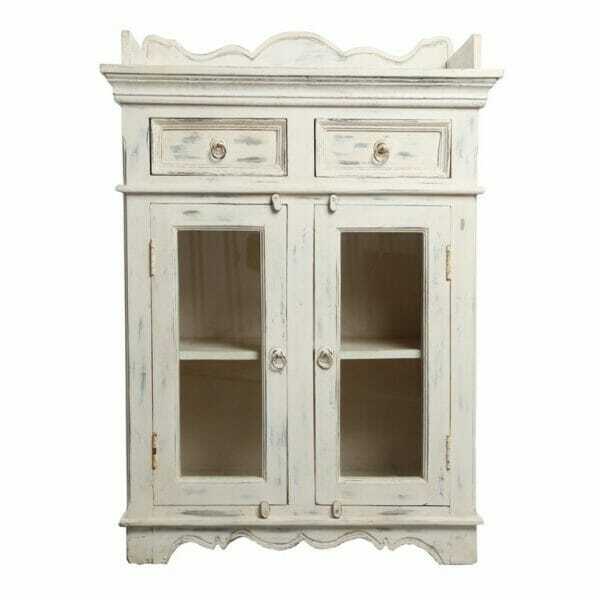 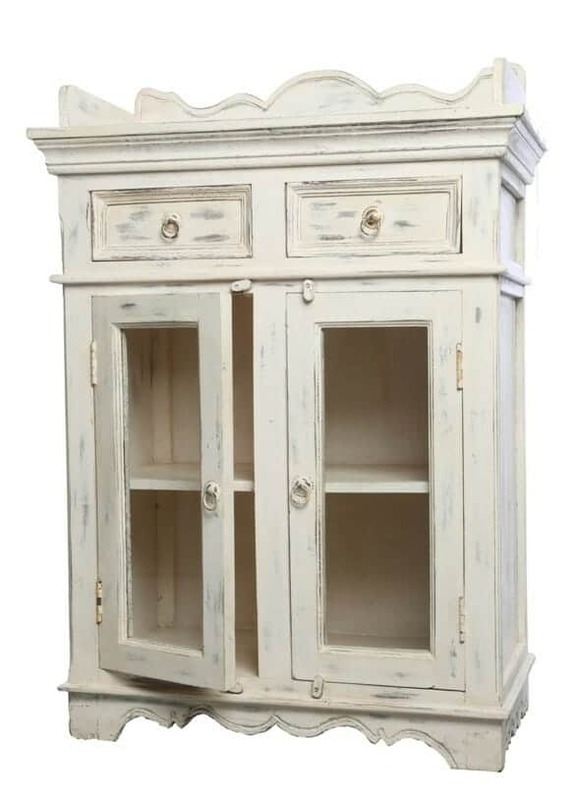 In this country cottage style Cupboard we have the uniqueness of Indian Wood furniture design with the unusual simplicity of a single colour in this glass fronted white cupboard. 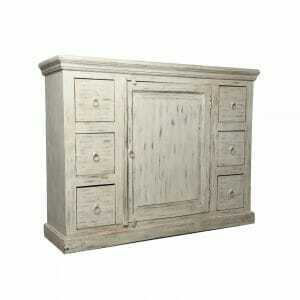 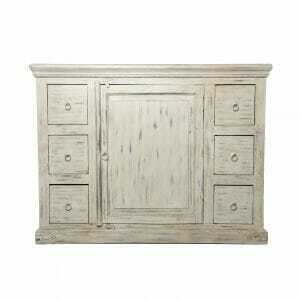 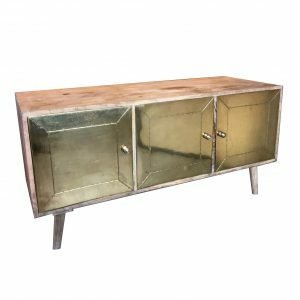 An Indian dresser to suit chic minimalist interior décor, whether you’re going for a country living or urban town house look, this distressed sideboard can form a central functioning cupboard in the kitchen or living room, housing the homewares we want to keep on view and protected. 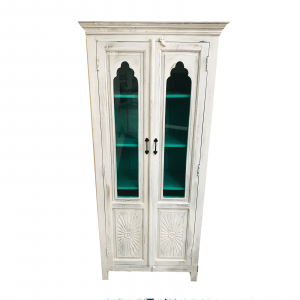 Superbly crafted from Indian hard wood, with smooth running drawers and neat, solid carpentry joins, the white cupboard is a pleasure to use and suitable for every day liveability, resilient and functional as well as ornamental and enjoyable to look at. 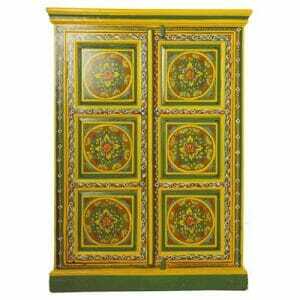 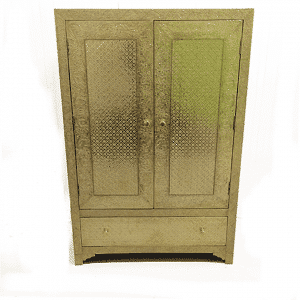 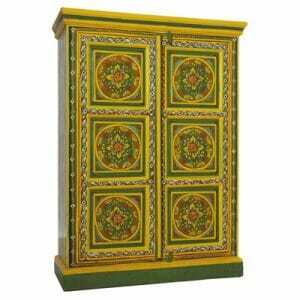 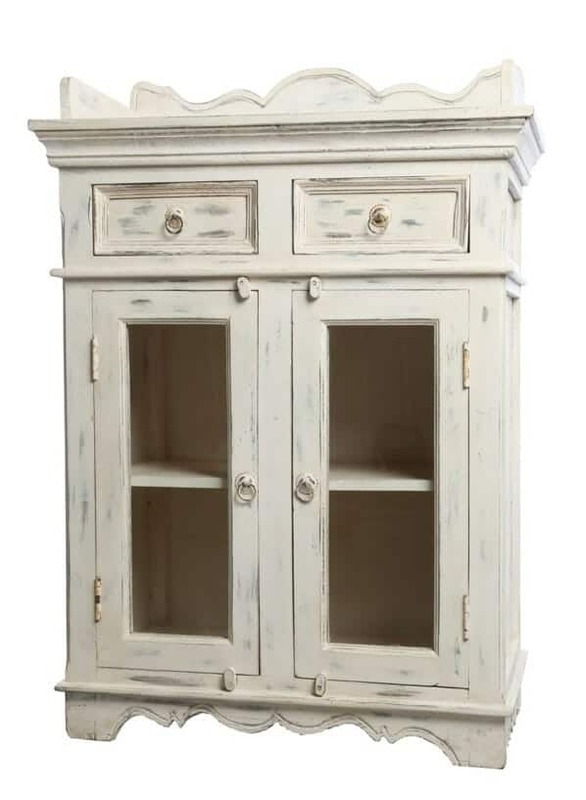 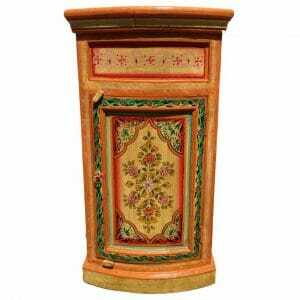 The distressed paint finish forms a timeless fashion for indoor furniture, with a look set to last through the ages, like the Indian cupboard itself. 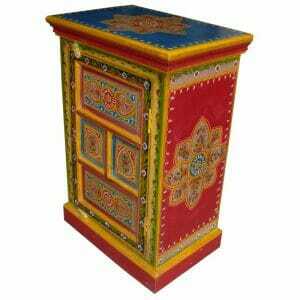 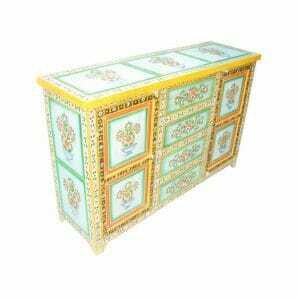 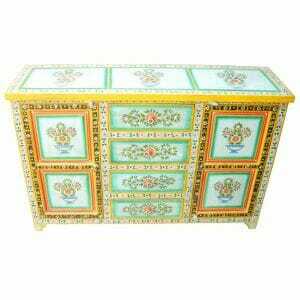 The craft methods used in the creation of this distressed sideboard are inherited from a long lineage of Rajasthani master craftsmen who have been fulfilling royal commissions since the 10th Century. 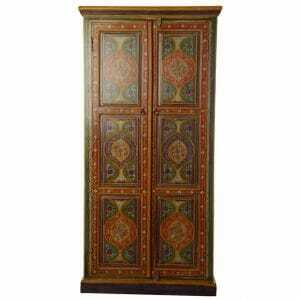 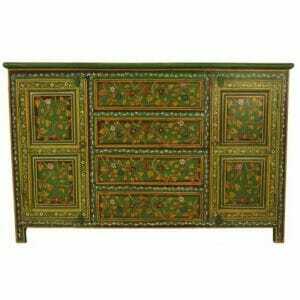 The skill and expertise that goes into one of these cabinets results in an Indian dresser made for long continued use and enjoyment. 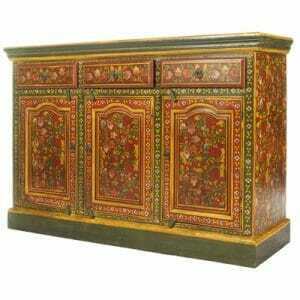 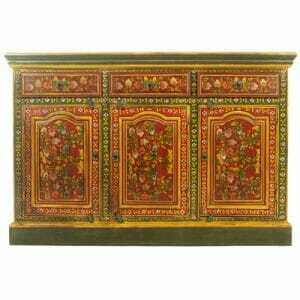 The sustainably harvested and replanted sheesham wood used throughout this oriental dresser boasts resilience to fluctuations in temperature and humidity as well as resisting the ravages of time and because it can be replanted and regrown quickly, has long been a popular resource for Indian furniture. 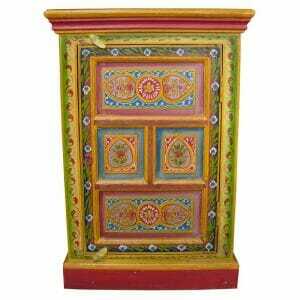 We visit our Rajasthani artisans regularly and enjoy their friendship and hospitality as well as sharing their love and enthusiasm for the Indian furniture they so expertly craft. 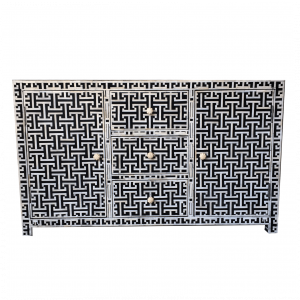 We see that all resources are ethically sourced and are of a high, consistent quality. 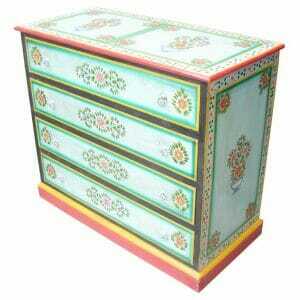 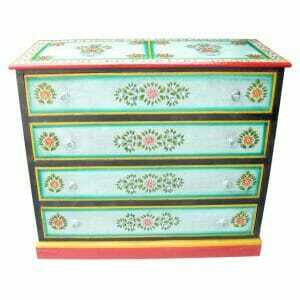 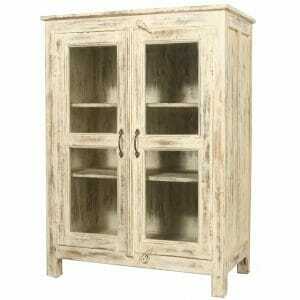 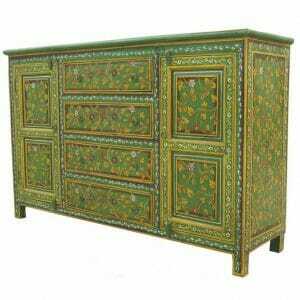 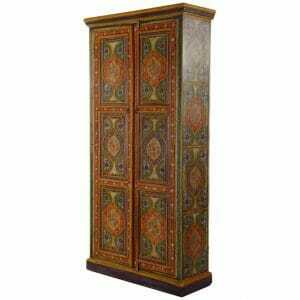 We can also translate our customer’s requests for bespoke furniture, clearly and directly. 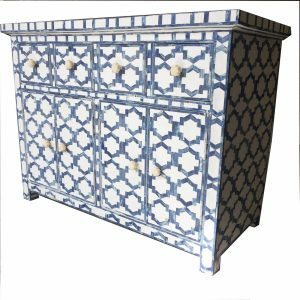 So if, for example, you like this style and would like a matching kitchen suite, or an Indian coffee table or Indian mirror, you would have only to email us and we can furnish you with a very reasonable quote. 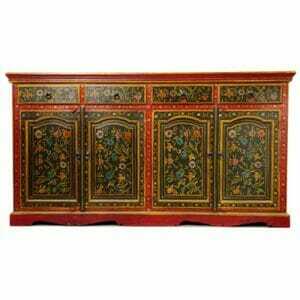 The bespoke service is offered at no additional cost. 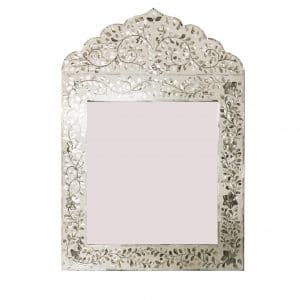 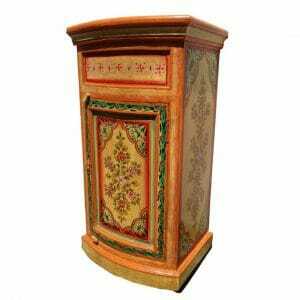 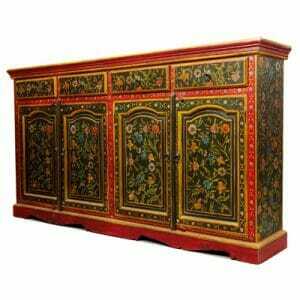 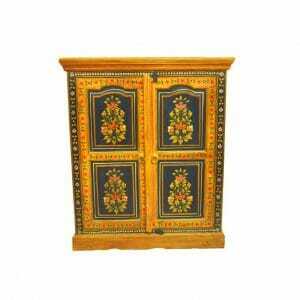 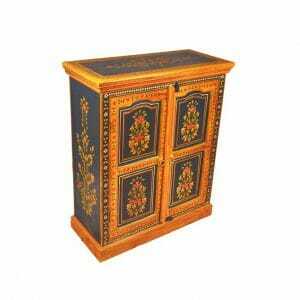 The Indian furniture is crafted in Rajasthan according to your requirements and sent across the high seas to us, where we make arrangements with you for delivery. 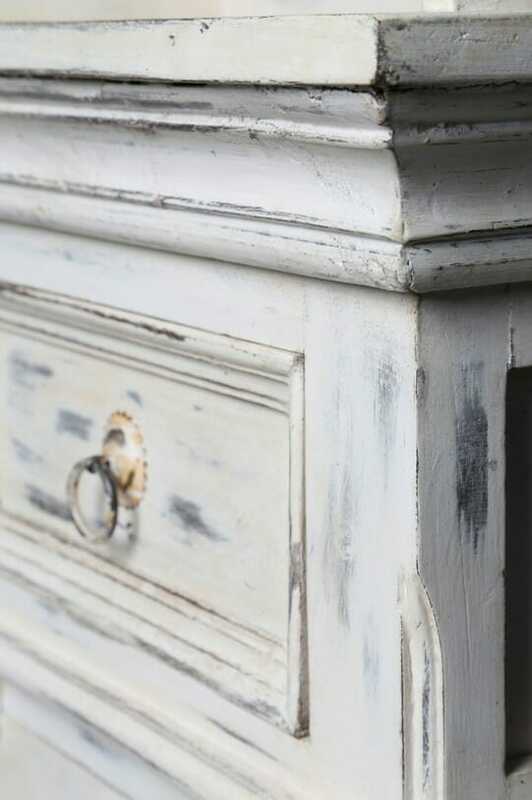 So be creative and let us know what you would like. 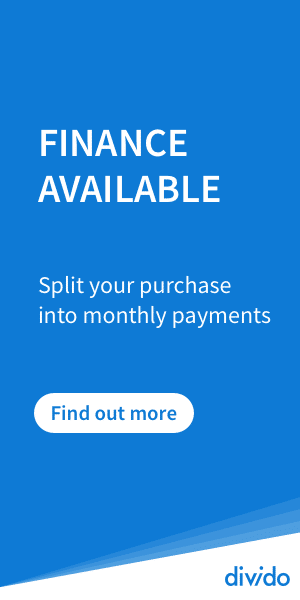 Get in touch with any questions you have about anything.